Reuben Singh, The London-based entrepreneur is the CEO of a private equity firm as well as a call answering service. It's common to match your favorite shoes with the exclusive dress, turban or even socks. But have you ever dreamt of matching your Turban with luxuries cars?? Seems impossible? But its true as one London-based entrepreneur is busy matching away his turbans with his enviable collection of Rolls Royce cars. Yes, it’s true he matches his turban with cars that he owns. Reuben Singh the Sikh entrepreneur has emerged as an internet sensation who is known for rocking the world of netizens with his splurging tendencies. He is the chief executive of contact center company alldayPA and private equity firm Isher Capital. 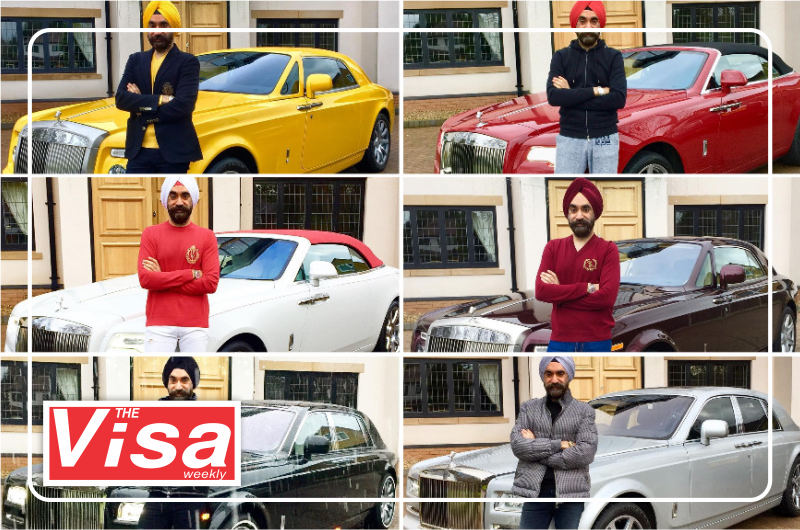 This time, Reuben Singh is trending for purchasing six more Rolls Royce cars in ruby, sapphire and emerald colors. ‘Jewel Collection’ is what he calls as his new additions that include the most expensive Rolls Royce sedan-Phantom and the only SUV produced by British luxury car marker - Cullinan. 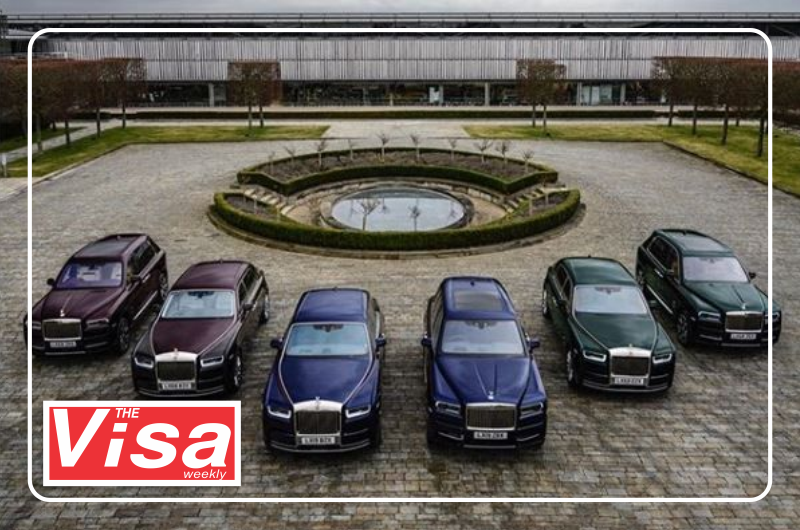 All the cars are delivered at Mr. Singh’s doorstep personally by CEO of Rolls Royce -Torsten Muller-Otvos himself. And his collection comprises 20 Rolls Royce in his 'crown' garage. Mr. Singh is also the proud owner of a Bugatti Veyron and he is Famously known as the Bill Gates of Britain. He is also the owner of some other cars as Porche 918 Spyder, Pagani Huayara, and Lamborghini Huracan alongside the only one in the world Ferrari F12 Berlinetta limited edition. Mr. Singh becomes famous in the mid-1990s when he launched his own retail chain ‘Miss Attitude’. He later sold this retail to an American financier for an undisclosed price. Since then he participated in many public appointments. Even British Prime minister Tony Blair invited him to serve on a government advisory panel. He was listed as the youngest self-made millionaire in 1998 in the Guinness Book of World Records. But In 2005 Mr. Singh’s sudden rise was soon followed by an equally steep fall as he lost control of his second firm alldayPA and two years later was eventually declared bankrupt. After that, he managed to redeem himself financially after 2015 and sought back control of his company, which now employs hundreds of people. What new about Mr. Singh? For now, Mr. Singh believes that “So long as no one is hurt, smile and do whatever you want.” And so he is busy amassing wealth and spending it on what he loves the most, his cars.